HR Partnering is an endeavor by CATS Academy India Pvt. Ltd. to assist our clients in managing their HR function. 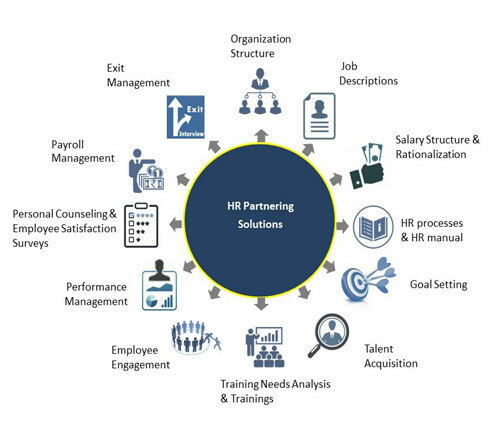 As a trusted HR partner we understand and work closely with the human capital to transform them into high performing assets. With a pool of senior HR consultants, SMEs benefit from their expert advice and specific recommendations. This involves providing the necessary competence in the areas of human resource as mentioned in the figure given below. It makes firms capable enough to deal with the human resource in the organization and to grow substantially. We provide our clients with customized solutions that are unmatched in the industry.